RiteAV's brush bristle inserts have been re-engineered to increase the size of the opening. 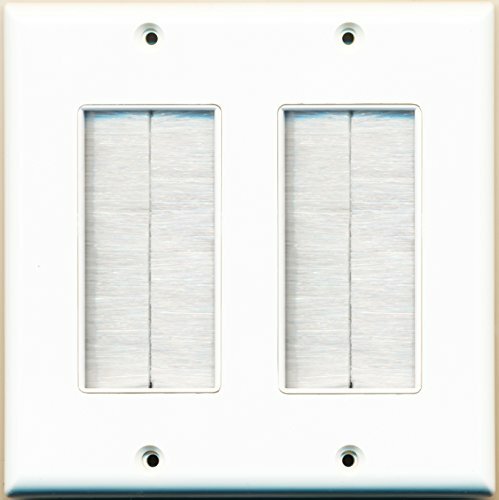 Nearly the entire opening for the decorative insert is available for passing cables and connectors through. DVI, VGA and HDMI cables with ferrites fit easily.